The European project entitled MathE - was funded by the European Commission in the framework of the Erasmus+ Programme, KA2 - Strategic Partnerships for Higher Education. The aim of the MathE project is to implement innovative assessment methods to help higher education Maths lecturers to identify knowledge gaps of their students so as to identify, on the basis of the assessment made, the best possible learning pathways aligned with the learners' needs. The European project entitled Fiction was funded by the European Commission in the framework of the Erasmus+ Programme, KA2 - Strategic Partnerships for School Education. The aim of the project is to promote the use of digital technologies for the teaching and learning of scientific subjects at secondary school level. The European project entitled ALCMAEON was funded by the European Commission in the framework of the Erasmus+ Programme, KA2 - Strategic Partnership for Higher Education. The aim of the ALCMAEON project is to overcome the gap between clinical practice and historical perspective of medical humanities, through the representation of the historical scenarios and the integration of historical evidences in specific educational contents. 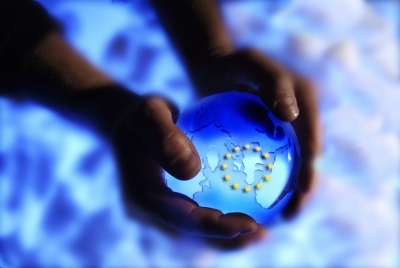 The European project entitled G.A. STEM - Enhancing STEM skills through arts and mini-games was written and coordinated by University of Turku based in Turku (Finland) and involves Pixel in the transnational partnership. The project was funded by the European Commission in the framework of the Erasmus+ Programme, KA2 - Strategic Partnership in the field of School Education. The G.A. 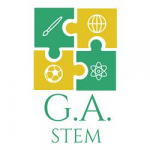 STEM aims at improving motivation in scientific study through the use of “Art-works” as supporter in student creativity development and more awareness of their applications in everyday life. The project was funded by the European Commission in the framework of the Erasmus+ Programme, KA2 - Strategic Partnership for School Education. The aim of the SMiLD project is to provide secondary school maths teachers with the skills to facilitate the learning of mathematics by students with learning disabilities. The European project entitled DC4LT - Digital Competences for Language Teachers was written and coordinated by Norwegian University of Science and Technology (NTNU) based in Trondheim and involves Pixel in the transnational partnership. The project was funded by the European Commission in the framework of the Erasmus+ Programme, KA2 - Strategic Partnership in the field of Higher Education. The DC4LT project aims at empowering EU Language Teachers with Digital Competences in order to strengthen them with open and innovative tools and methodologies, and be able to teach online and mobile to a worldwide audience. The project will also target organizations that deliver language training, providing them with clear guidance on deploying and using ICT and changing their practices to be more sustainable. The European project entitled OPENLang Network - Open European Languages And Cultures Network was written and coordinated by University of Macedonia based in Thessaloniki (Greece) and involves Pixel in the transnational partnership. The project was funded by the European Commission in the framework of the Erasmus+ Programme, KA2 - Strategic Partnership in the field of Higher Education. The OPENLang Network aims specifically at developing 'The OPENLang Network', which envisages to connect all the Erasmus+ KA1 Mobility Participants (HE students and staff, VET (at least 1 month mobility), Adult and School education staff, Youth learners, Youth Workers, Youth Entrepreneurs) in an OPEN informal and highly interactive online environment which could support more efficiently their effort to develop their language skills of the target mobility EU languages. The European project entitled Parsifal, the Legends Researcher was written and coordinated by Pixel in cooperation with the project applicant and scientific coordinator CKZiU based in Sosnowiec (Poland). The project was funded by the European Commission in the framework of the Erasmus+ Programme, KA2 - Strategic Partnership for School Education. The aim of the Parsifal project is to promote the use of ICT to allow students to improve literacy through an aware knowledge of the cultural heritage surrounding them, at the same time carrying out a comparative analysis with the cultural heritage of other European areas. The European project entitled [email protected] - Future schools using the power of Virtual and Augmented Reality for education and training in the classroom was written and coordinated by Liceul Teoretic de Informatica "Grigore Moisil" (Romania) and involves Pixel in the transnational partnership. The project was funded by the European Commission in the framework of the Erasmus+ Programme, KA2 - Strategic Partnership for School Education. The [email protected] project aims at supporting Virtual Reality as a teaching methodology which helps students feel immersed in an experience, gripping their imagination and stimulating thought in ways not possible with traditional books, pictures or videos, and facilitates a far higher level of knowledge retention. The European project entitled GoScience was written and coordinated by Zinev Art Technologies based in Sofia (Bulgaria) and involves Pixel in the transnational partnership. The project was funded by the European Commission in the framework of the Erasmus+ Programme, KA2 - Strategic Partnership in the field of School Education. The aim of the GoScience European project is to promote students’ creativity with the aim of making scientific knowledge better understandable and increase their functional literacy in STEM subjects. The project was funded by the Erasmus+ Programme, KA2 - Strategic Partnership in the field of School Education. The project aims at increasing secondary students learning results in STEM subjects (maths, physics and natural sciences) through the development of a STEM teaching package addressed to both Teachers and students. The European project entitled Off Book was funded by the European Commission in the framework of the Erasmus+ Programme, KA2 - Strategic Partnership for school education. The Off Book European project has been written and coordinated by Pixel in cooperation with the project applicant University of Klaipeda (Lithuania) as well as with the scientific coordinator the University of Siena (Italy). The Off Book European project is aimed at improving secondary school teachers' intercultural competences and promoting the use of new educational methods to make school environment less “judgemental” and more inclusive, thus promoting non-discrimination and reducing early school leaving. 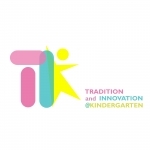 The European project entitled TIK - Tradition and Innovation @Kindergarten was written and coordinated by Pixel in cooperation with the project applicant, the Municipality of Guada Ssuar (Spain). The project was funded by the Erasmus+ Programme, KA2 - Strategic Partnership in the field of School Education. The TIK European project aims to improve pre-school pupils’ basic and transversal competences through the transnational comparison of traditional tales. The European project entitled V4T was funded by the European Commission in the framework of the Erasmus+ Programme, KA2 - Strategic Partnership for higher education. The V4T European project has been written and coordinated by Pixel in cooperation with the project applicant and scientific coordinator Universitat de Valencia (Spain). The V4T European project is aimed at providing future teachers with a comprehensive reflection on the innovation of didactic methods through the use of videogames and ludic apps for mobiles. The European project entitled ELDORA was funded by the European Commission in the framework of the Erasmus+ Programme, KA2 - Strategic Partnership for vocational education and training. The European project has been written and coordinated by the Agency for the Support of Regional Development based in Kosice (Slovakia) and involves Pixel in the transnational partnership. This European project is aimed at strengthening the key competences and skills of young people at their final year at schools (VET institutions and universities), unemployed young people and leaders in rural areas to help them start a social enterprise in order to better utilize local natural and human resources, to increase economic development of rural areas and to prevent brain drain. The European project entitled VET_GPS - Guiding tools for Professional Skills development in VET was written and coordinated by Mentortec (Portugal) and involves Pixel in the transnational partnership. The project was funded by the European Commission in the framework of the Erasmus+ Programme, KA2 - Strategic Partnership for vocational education and training. The VET_GPS European project aims at including the soft skills in regular VET offer and preventing early VET leaving and increasing the possibility of employment of trainees. The European project entitled DELTA - Developing Expertise in Learning and Training Assessment was written and coordinated by the Dundee and Angus College (UK) and involves Pixel in the transnational partnership. The project was funded by the Erasmus+ Programme, KA2 - Strategic Partnership for vocational education and training. The aim of the DELTA European project is to support young people access to the labour market. The objectives of the DELTA European project are to develop skills to assess learning in the workplace, provide resources for internship tutors and bring VET centres and companies together. The European project entitled E-Classes was funded by the European Commission in the framework of the Erasmus+ Programme, KA2 - Strategic Partnership for vocational education and training. The European project has been written and coordinated by Liceul Tehnologic de Mecatronica si Automatizari based in Iasi (Romania) and involves Pixel in the transnational partnership. This European project has the objective to develop professional and pedagogic competencies among teachers and trainers enhancing Information and Communication Technologies (ICT) uptake in teaching and learning, through the support and the access to open educational resources (OER). The European project entitled Pathway through Religions is funded by the Erasmus+ Programme, KA2 - Strategic Partnership in the field of School Education. The project has been written and coordinated by Pixel in cooperation with the project applicant and scientific coordinator CIPAT based in Florence (Italy). This project aims to promote awareness of religions and foster a sense of mutual tolerance. The European project entitled SWOT was funded by the European Commission in the framework of the Erasmus+ Programme, KA2 - Strategic Partnership for vocational education and training. The SWOT European project has been written and coordinated by Pixel in cooperation with the project applicant and scientific coordinator Casa Corpului Didactic based in Tirgu Mures (Romania). The SWOT European project aims at improving the cooperation between VET providers and companies in order to develop Work Based Learning approaches and market oriented training offer for the Tourism Sector. The AduLet project (Advanced Use of Learning Technologies in Higher Education) was funded by the European Commission in the framework of the Erasmus+ Programme – KA2, Strategic Partnerships for Higher Education. This European project aims to improve the teaching quality of lecturers by enhancing their skills concerning the use of technologies. The project coordinator is Ludwigsburg University of Education (Germany). The Project involves Pixel as the partner in charge of quality assurance, monitoring and evaluation. The European project entitled IWBLabs (Internationalization of Work Based Learning in the Agri-Business Sector) is funded by the Erasmus+ Programme, KA2 - Strategic Partnership in the field of VET Education. The project has been written and coordinated by Pixel in cooperation with the project applicant and scientific coordinator Fondazione ITS Agroalimentare based in Teramo (Italy). This project aims to develop methods and tools for work based learning addressed to post-secondary VET students in the field of Agri-business. The European project entitled WBL2.0 (Work Based Learning 2.0) is funded by Erasmus+ Programme, KA2 - Strategic Partnership in the field of VET Education. The project has been written and coordinated by Pixel in cooperation with the project applicant and scientific coordinator Esmovia based in Valencia (Spain). This European project is aimed at improving the cooperation between VET providers and companies so as to provide a market oriented training offer for students in the field of web design. The European project entitled 2IMINED (Improving the initial education of adult immigrants) is funded by the European Commission in the framework of the Erasmus+ Programme, KA2 - Strategic Partnership in the field of Adult Education. The project has been written and coordinated by University of Klaipedia (Lithuania) and involves Pixel in the transnational partnership. This European project is aimed at improving competencies of educators working with immigrants as far as formal and non-formal education provision is concerned. The European project entitled Health Friendly Nutrition (Methodology of Health Friendly Nutrition Development and Practice in Educational Institutions) is funded by the Erasmus+ Programme, KA2 - Strategic Partnership in the field of School Education. The project has been written and coordinated by eMundus based in Kaunas (Lithuania) and involves Pixel in the transnational partnership. This project is aimed at improving the healthy nutrition habits of children and families also promoting healthy lifestyle principles in the community. The European project entitled Softis-Ped (Softskills for Children’s Health) is funded by the Erasmus+ Programme, KA2 - Strategic Partnership in the field of Higher Education. The project has been written and coordinated by Pixel in cooperation with the project applicant and scientific coordinator University of Turgu Mures (Romania). Softis-Ped is addressed to medicine university lecturers in the pediatrics field. The project aims to provide them with relevant soft-skills as far as communication, transparency, organization, intercultural issues are concerned. The European project entitled Upskillead - Upskilling Adult Educators Digital Lead is funded by the Erasmus+ Programme, KA2 - Strategic Partnership in the field of Adult Education. The project has been written and coordinated by Razvojno Izobrazevalni Center based in Novo Mesto (Slovenia) and involves Pixel in the transnational partnership. This European project aims to create an interactive platform which will provide adult learners with the skills in e-learning, e-connectivity and e-communication. The European project entitled WWW was funded by the European Commission in the framework of the Erasmus+ Programme, KA2 - Strategic Partnership in the field of VET Education. The European project has been written and coordinated by Technical College Al.I.Cuza based in Barlad (Romania) and involves Pixel in the transnational partnership. This European project aims at offering non-formal learning opportunities for young people so as to support their employability and entrepreneurship, also providing innovative career orientation strategies. The European project entitled ZOE was funded by the European Commission in the framework of the Erasmus+ Programme, KA2 - Strategic Partnership in the field of Higher Education. The ZOE European project is coordinated by University of Iasi (Romania) and involves Pixel in the transnational partnership. This European project aims to create teaching resources in the field of veterinary medicine focusing in particular on the identification, monitoring and control of malaria. The European project entitled IHR (I Have Rights) is funded by the European Commission in the framework of the Erasmus+ Programme, KA2 - Strategic Partnership in the field of School Education. The project has been written and coordinated by Pixel in cooperation with the project applicant RenaSup (France) and the scientific coordinator University of Siena (Italy). This European prject has the objective to provide secondary school teachers with the skills to deal with multicultural classrooms through the acquisition of intercultural competences based on the understanding of human rights and non-discrimination values. The European project entitled Learning for Life, coordinated by Pixel in cooperation with the project applicant and scientific coordinator Salesianos Urnieta Salesiarrak (Spain), is funded by the Erasmus+ Programme, KA2 - Strategic Partnerships in the field of School Education. The Learning for Life European project is addressed to school teachers and students. The project o aims to promote new education methodology, such as Problem Based Learning (PBL) and Multiple Intelligences (MI) and to develop skills required in the present and future society. The core subjects of the projects are Maths, Science and Literacy. The European project entitled E-Learning From Nature is funded by the European Commission in the framework of the Erasmus+ Programme, KA2 Strategic Partnership in the field of School Education. The lead partner of this European project is an Italian secondary school Istituto Enriques, based in Castelfiorentino in the Province of Florence. Pixel is the project partner in charge of transnational cooperation and technical support. This European project has the aim to improve secondary school students’ basic skills in scientific subjects. The European project entitled GEEA - Gender Equality and Entreprenership for All - is funded by the European Commission in the framework of the Erasmus+ Programme, KA2 Strategic Partnerships for vocational education and training. The lead partner of this European project is a Romanian school Colegiul National Unirea, based in Tirgu Mares. Pixel is the project partner in charge of evaluation and dissemination. This European project has the aim to raise awareness of equal opportunities, especially in VET education, and to promote entrepreneurship education as a solution to gender gap. The European project entitled YEES (Youth Entrepreneurship and Employment Support) is funded by the European Commission in the framework of the Erasmus+ Programme, KA2 Strategic Partnership in the field of School Education. The lead partner of this European project is a Spanish secondary school IES Sant Vicent Ferrer, based in Valencia. Pixel is the project partner in charge of transnational cooperation and technical support. The European project YEES has the aim to to foster youth employment and entrepreneurship. The Not Only Fair Play project, funded by the European Commission in the framework of the Erasmus+ Programme, is promoted by Istituto Professionale “Francesco Datini”, Italian vocational school, while Pixel is the project partner in charge of transnational coordination and technical and administrative management. The Not Only Fair Play project aims at promoting awareness of the importance of physical education at school. The European project Non-4-Lesl - Non-Formal Learning Can Prevent Early School Leaving - is funded by the European Commission in the framework of the Erasmus+ Programme, Key Action 2 - Strategic Partnership. The lead partner of this European project is the Department of Civic Education of the Leibniz Universitat Hannover (Germany). Pixel is one of the European partners involved. This European project aims at preventing early school leaving through the recognition of non-formal learning and the production of a tool for the validation of the skills acquired through informal educational paths. The European project School&Work is funded by the European Commission in the framework of the Erasmus+ Programme, KA2 Strategic Partnership. The lead partner of this European project is Cipat, a consortium of Italian schools. Pixel is the project partner in charge of transnational coordination and technical support. The European project School&Work aims at fostering collaboration between education and the labour market. The European project Med&Lang Palliative Care project is funded by the European Commission in the framework of the Erasmus+ Programme, KA2 Strategic Partnership for higher education. The MedLang European project's lead partner is the Medicine and Pharmacy Faculty of the University of Iasi (Romania). Pixel is one of the project partners. The European project Med&Lang Palliative Care focuses on communication skills in a foreign language for supporting the teaching processes of the medical lecturers at higher education level, with a specific focus on palliative cares. The European project entitled Goerudio project, funded by the European Commission in the framework of the Lifelong Learning Programme - KA4. The project's contractor is Riga State Technical School (LV). Pixel is the project partner in charge of transnational coordination and technical and administrative management. The Goerudio project aims to promote scientific knowledge at all level of education by implementing innovative strategies. Il progetto ElmaTP è finanziato dalla Commissione Europea nel quadro del Programma Lifelong Learning, Sub-programma Leonardo Da Vinci, Trasferimento dell'Innovazione. Il promotore del progetto è il Governo provinciale di Bursa (Turchia). Pixel è coinvolta in qualità di soggetto partner. Il progetto ElmaTP ha l'obiettivo di potenziare le capacità delle imprese di entrare nei nuovi mercati attraverso percorsi di formazione sul tema dell'internazionalizzazione . The European project InVET is funded by the European Commission in the framework of the Lifelong Learning Programme. This European project is coordinated by INOVA (PT). Pixel is one of the European partners. The European project INVet aims at developing a toolkit for the identification of trainees at risk of dropping out the VET system. The PACE project, funded by the European Commission in the framework of the Lifelong Learning Programme - KA4. The project is coordinated by Die Berater (Austria). Pixel is one of the European partners involved. 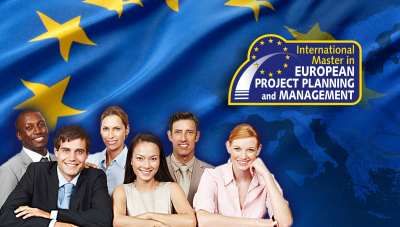 This European project has the aim to create an experienced community for best practices’ exchange in the field of European project management. The Stay In project is funded by the European Commission in the framework of the Lifelong Learning Programme, Leonardo Da Vinci Sub-Programme, Transfer of Innovation Action. The project promoter is Jugend am Werk Steiermark GmbH. Pixel is one of the project partners. The Stay In project aims to develop training programme for VET teachers on the prevention of early school leaving in initial VET (Vocational Education and Training). Qual4T Quality culture through effective instruments for Teachers and trainers is a European project, funded by the European Commission in the framework of the Leonardo da Vinci TOI programme. This European project has the aim to provide teachers and trainers with sources to help them with improving quality in education. The project is coordinated by Landstede (NL). Pixel is involved as the External evaluator in charge of quality Assurance. Trigger is a European project, funded by the European Commission in the framework of the Lifelong Learning programme - Comenius Multilateral Projects. This European project has the aim to trigger teachers and learners by including new skills and internationalisation in the educational programme for secondary education. The project is coordinated by Landstede (NL) and Pixel is involved as the External evaluator in charge of quality Assurance. The School Safety Net project, funded by the European Commission in the framework of the Lifelong Learning Programme - KA4. The project's contractor is Cipat a consortium of Italian schools and the coordinator is Pixel. The project has the aim to prevent early school leaving through an integrated approach based on the exploitation of best practices developed in previous projects focusing on: Early identification of students at risk, integration of immigrant students, support to students with learning disabilities, prevention of school violence. The project JCN Justice Cooperation Network is funded by the European Commission in the framework of the Criminal Justice Programme. The project contractor is the German Ministry of Justice of Mecklenburg-Vorpommern. Pixel is the partner in charge of the project technical management. The objective of the JCN Justice Cooperation Network project is to develop a European network for best practice ‎of ‎‎transition management of prisoners leaving custody with a focus on high risk ‎offenders. The project, funded by the European Commission in the framework of the Lifelong Learning Programme - Grundtvig Multilateral Partnership, is promoted by Trakai Education Centre (LT). Pixel is involved as a partner. The Eco Task project has the aim to identify and analyse awarness-raising methods on the topic of environmental protection. Best practice in the field is shared and transferred in the countries involved in the project. The NELLIP project is funded by the European Commission in the framework of the Lifelong Learning Programme - KA2 Languages. The NELLIP project, promoted and coordinated by Pixel, has the aim to promote quality in language learning through the application of the quality criteria used to award the European Language Label. The Web2LLP project is funded by the European Commission in the framework of the Lifelong learning programme-KA4 Dissemination..The project Web2LLP is promoted by the University of Luxembourg. Pixel is one of the project partners. The project has the objective to promote an effective use of social media in the dissemination of information about activities and results of European projects. 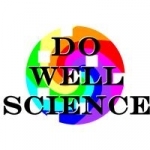 The Chemistry is All around Network project is funded by the European Commission in the framework of the Lifelong Learning programme-Comenius.The project, promoted by Genoa University and coordinated by Pixel aims at stimulating the interest of pupils towards the study of Chemistry. It also intends to create a network of science education institutions. The Frojol project is funded by the European Commission in the framework of the Lifelong Learning Programme. Leonardo da Vinci TOI, Transfer of Innovation. and has been promoted by Landstede (NL). Pixel is involved as subcontractor in charge of the project quality management and external evaluation. The project has the aim to promote the Montessori method, that so far has been used for school education, transferring it to vocational education and adult education. The Heppy project is funded by the European Commission in the framework of the Lifelong Learning programme, Leonardo da Vinci-Development of innovation. The project, promoted by Gradenigo Hospital (IT) and co-ordinated by Pixel, has the aim to provide professional health carers with the necessary skills to develop an holistic approch with patients with chronic diseases. The EE-T, Economic e-Translations project is funded by the European Commission in the framework of the Lifelong Learning Programme - Erasmus Multilateral projects. The project, promoted by the University of Pisa and coordinated by Pixel, has the aim to assess the impact of translations of economic texts on the European history of economic thought. The Healthy Learning project, promoted by DAA (DE) and involving Pixel as partner, is funded by the European Commission in the framework of the Lifelong Learning Programme - Leonardo da Vinci Transfer of Innovation. This European project aims at defining the prerequisites for creating a healthy learning environment for the carrying out of training initiatives within SMEs. This project transfer the results of the previous “Health Tutor in Adult Education” Leonardo da Vinci Project. The Play the Learning Game project is funded by the European Commission in the framework of the Lifelong Learning Programme, Leonardo Da Vinci Sub-Programme, Transfer of Innovation Action. FETE-UGV (ES), representing the Spanish Teachers' Trade Unions is the promoter of the project. Pixel is the coordinator. This European project aims to improve and transfer the results of the The Learning Game project also financed by the European Commision in the framework of the Socrates Programme that was promoted and coordinated by Pixel. The project objective is to promote the effective use of videogames in education. The [email protected] project is funded by the European Commission in the framework of the Life Long Learning Programme - Leonardo Da Vinci - Transfer of Innovation Action .The project, promoted by IP Datini and coordinated by Pixel, intends to promote the use of the School Inclusion Portal in order to provide the school teachers with the skills to prevent early school leaving issue. The Chemistry Is All Around Us project is funded by the european commission in the framework of the Lifelong Learning Programme - Comenius Networks .The project, promoted by the Chemistry Department of the University of Genova (IT) and coordinated by Pixel aims to identify barriers and success factors to the implementation of lifelong learning strategies in scientific subjects and in particular in chemistry. The I Am Not Scared project is funded by the European Commission in the framework of the Life Long Learning Programme, KA1 Policy Cooperation and Innovation.The project, promoted by Istituto Superiore Don Milani (IT) has been coordinated by Pixel.The projects aime is to identify the best European strategies to prevent and tackle the bullying phenomenon. The IntheMC project is funded by the European Commission in the framework of the Lifelong Learning Programme, Leonardo da Vinci TOI, Transfer of Innovation. .The project is promoted by Landstede (NL) Pixel is involved as a subcontractor in charge of the project quality management and external evaluation.The project has the aim to promote the mobility of students involved in vocational education and training.The strategy adopted is based on an activity of raising awareness and training of teachers and trainers. The Benchtour project was funded by the European Commission in the framework of the LifeLong Learning Programme, Leonardo Da Vinci - TOI. The project, promoted by Deutsche Angestellten-Akademie (DE) and in which Pixel participated as a partner, has the aim to enhance the competences of SMEs by introducing a successfully tested method called Bencheffect®. The LeTS Go project is funded by the European Commission in the framework of theLifelong Learning Programme Leonardo Da Vinci - TOI. The aim of the LeTS Go project, promoted by ISIS Leonardo Da Vinci and coordinated by Pixel, is to promote an effective application of New Technologies to the teaching and learning of foreign languages. The Avalon project was funded by the European Commission in the framework of the lifelong learning programme - KA3 - ICT. This project was promoted and coordinated by the University of Manchester (UK). Pixel was the subcontractor in charge of the project quality management and evaluation. The project had the objective to promote the use of virtual worlds, and of Second Life in particular, in the language teaching process at university level. The ELE55+ project is funded by the European Commission in the framework of the Lifelong Learning Programme - Grundtvig. The project ELE55+, promoted by Gabrovo Technical University (BG) and involving Pixel as partner, has the objective to foster the inclusion in the labour market of workers who are older then 55 . The project raises their employability perspectives by providing them with new skills, as well as educating employers to be more aware of the contribution that older workers can provide. The Embed project is funded by the European Commission in the framework of the LifeLong Learning Programme- Key Activity 4. The project, which is promoted by the Hungarian Academy of Sciences (HU) and in which Pixel participates as a partner, aims at developing a European network to support dyslexic individuals in their education. The On-Air project is funded by the European Commission in the framework of the Lifelong Learning Programme - Comenius Multilateral Projects. The project, promoted by University La Sapienza and coordinated by Pixel has the aim to involve secondary schools in a common effort in order to make New Media become not a threat but a tool for the development of students literacy skills. The Routes project is funded by the European Commission in the framework of the Lifelong Learning Comenius programme. The project, promoted by the Franco Momigliano Institute (IT) and co-ordinated by Pixel, involves European secondary schools in the carrying out of a research on the Social history of migrations and about the integration of immigrants into European countries. 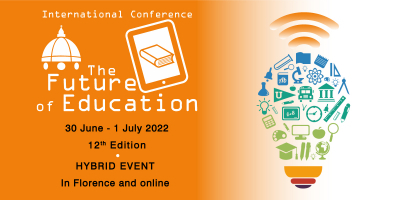 The Tech Connected Teacher project is funded by the European Commission in the framework of the LLP Grundtvig programme. The project, promoted by Kaunas University of Technologies (LT) and involving Pixel as partner, has the objective to raise the availability and quality of European training courses for adults.The projects aim is to create an international teacher training methodology which would be based on the best European practice and achievements. The Yo-Train project is funded by the European Commission in the framework of the LLP Leonardo Da Vinci programme. The project, promoted by the Municipality of Skelleftea (SE) and involving Pixel as partner, has the objective to create a consistent training programme for the training of youth workers, based on the demands of employers and a rapidly changing society. The School Inclusion project is funded by the European Commission in the framework of the Life Long Learning Programme - Comenius - Multilateral Projects. The project, promoted by Cidaf and coordinated by Pixel, has the aim to identify the strategies developed in the different European countries to combat early school leaving so as to develop a common strategy to prevent the phenomenon.The project,starting from an in depth analysis of the causes of school dropping out and the strategies implemented to overcome it, in order to develop a common European strategy. , intends to supply an answer to the problem of school early leaving. The ActivELP project is funded by the European Commission in the framework of Lifelong Learning Programme - Transversal Actions. The project is promoted by Public Service Language Centre (LV) and involving Pixel as partner, is to promote an effective use of the European Language Portfolio (ELP) in electronic format, developing a specific training program for language teachers. The project is funded by the European Commission in the framework of the Life Long Learning Programme - Leonardo Da Vinci - Transfer of Innovation Action. The objective of the ELS at Work project, promoted and coordinated by Pixel, is to further improve and disseminate the ELS portal. The portal contains 4 online courses for the language training of administrative and secretarial staff in small enterprises. The ELSTI project is funded by the European Commission in the framework of the Life Long Learning Programme - Leonardo Da Vinci - Transfer of Innovation Action. The aim of the ELSTI project, promoted and coordinated by EuroED (RO)and in which Pixel participates as a partner, is the promotion of the use of the ELS portal among secondary vocational schools and Small and Medium Enterprises. The EnergeTIC project is funded by the European Commission in the framework of the Life Long Learning Programme, Comenius Sub-Programme, Multilateral Projects. The project, promoted by In.For.Ef (BE) and involving Pixel as partner, has the objective to foster a transnational exchange among European secondary schools on the topic of sustainable development and energy. The Hippocrates project is funded by the European Commission in the framework of the LifeLong Learning Programme Leonardo da Vinci . The project, promoted by Gradenigo Hospital (IT) and co-ordinated by Pixel, has the aim to provide trainers who work in the health sector with the necessary skills for knowledge management. The History On Line project is funded by the European Commission in the framework of the Lifelong Learning programme Erasmus. The project, promoted by the University of Macerata (IT) and co-odinated by Pixel, aims to develop an Internet Portal for history teaching based on the effective use of ICT potential. The Michelangelo project is funded by the European Commission in the framework of the Lifelong Learning Programme - Comenius Multilateral Projects. The project, promoted and coordinated by Pixel, has the aim to involve secondary school art teachers in the creation and development of an internet portal on European fine arts in the 6 countries involved. The Regards Croisés project is funded by the European Commission in the framework of the Lifelong Learning Programme Comenius. The project, promoted by the Institute of Pedagogical Training (FR) and co-ordinated, in Italy, by Pixel, involves secondary schools of 7 European Countries in a common analysis and transnational comparison of the different methods and contents in the teaching of the events related to World War I. The Forestur project is funded by the European Commission in the framework of the Leonardo Da Vinci programme. Through this project, coordinated by Florida (ES) and involving Pixel among the European partners, promotes, for tourist professionals operating in rural areas high quality continuous training, adapted to their needs and made possible through the use of online resources. The Health Tutor in Adult Education project is funded by the European Commission in the framework of the Socrates Grundtvig programme. This project, coordinated by DAA German Employee Academy (DE) and involving Pixel among the European partners aims to create healthier conditions under which healthier learners will gain healthier results throu making them fitter for the job market. The Learning Game project is funded by the European Commission in the framework of the Life Long Learning Programme - Comenius Multilateral Projects . The project, promoted and coordinated by Pixel, has the aim to implement e-learning solutions and methods in a teaching and learning context that make full use of the interactive and multimedia solutions, therefore including videogames. The Art-Net project is funded by the European Commission in the framework of the eLearning programme. The project, promoted and coordinated by Pixel, creates and manages an Internet portal for the sharing and exchange of e-elarning based educational material for art teaching and learning. The [email protected] project is funded by the European Commission in the framework of the Socrates Minerva programme. The project, coordinated by Inf.For.Ef (BE) and involving Pixel among the partners, has the objective of promoting the knowledge of environmental issues and sustainable development at secondary school level. The EMMA project is funded by the European Commission in the framework of the Socrates Grundvig 4 programme.It has been promoted by VOX(NO) and Pixel participated as a partner. The project purpose is to develope methods that will help adults, at individual level or as employees, reach a higher level of numeracy. The EU Care project is funded by the European Commission in the framework of the Leonardo Da Vinci programme.The project has been promoted by Technical University of Koszalin (PL) and involved Pixel as a partner; its main aim is the creation of a training pathway addressed to personnell working with old people. The main topic which will be addressed will be the application of models of behaviour for the compensation of the loss of the social role of old people. The LeTS project is funded by the European Commission in the framework of the Leonardo da Vinci programme. 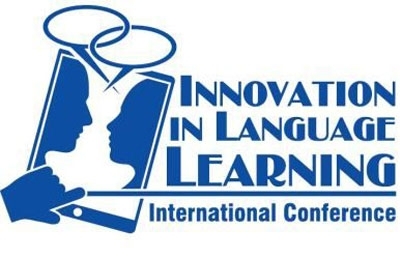 The project, promoted by Comune di Firenze – ITI da Vinci (IT) and coordinated by Pixel, has the objective to create an on-line training package addressed to language teachers and trainers to support them in the development of e-learning based language teaching educational tools. The MHM project is funded by the European Commission in the framework of the Socrates Comenius programme. The project, coordinated by Pixel and promoted by ISUC (IT), is addressed to history teachers and students of secondary school. The aim of the project is to foster the acquisition of a transnational point of view on European contemporary history.torical events of the 20th Century. The Citizen E project is funded by the European Commission in the framework of the Socrates Minerva programme. The project, promoted by ATiT (BE) and involving Pixel as the Italian partner, has created a network of schools cooperating with eachother at distance on the topic of European Citizenship. The COLLT project is funded by the European Commission in the framework of Socrates Grundtvig programme. The project, promoted by VUC Vestsjaelland Syd (DK) and involving Pixel as partner, has the objective to create and test an on line platform for cooperative learning in a language teaching context. The eEuroInclusion project is funded by the European Commission in the framework of the Action Plan for Language Learning and Linguistic Diversity programme. The project, promoted by EuroEd (RO) and involving Pixel as partner, has the objective to develop a European network among public and private institutions teaching the less known languages. The Edu Robot project is funded by the European Commission in the framework of the Socrates Minerva programme.The project, promoted and coordinated by Pixel, foster the knowledge of Robotics science in European secondary schools through the development of a distance training period addressed to science and technologies teachers on the subject. The aime of the project is to spread the knowledge of the robotic science throughout European secondary schools. The ELS project is funded by the European Commission in the framework of the Leonardo da Vinci programme. The project is promoted and coordinated by Pixel. The objective of the project is to develop and manage an on line Internet portal for language learning in business context of four European languages. The Inclusive Practices for Learners with Disabilities project is funded by the European Commission in the framework of the Socrates Grundtvig programme. The project, promoted by CKU (PL) and involving Pixel as a partner has the aim to review the existing services available in Europe aimed at the education and training of people with disabilities. 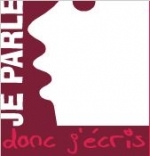 The Je Parle donc J'écris project is funded by the European Commission in the framework of the Socrates Minerva programme. The project, promoted by In.For.Ef (BE) and involving Pixel as partner, experiments a new strategy for Franch language learning through the application of the Alfonic methodology. This methodology help all those who learn reading and writing French, regardless of age and whether they speak French as their native language or learn it as a second or third language. The Yo-Pro project is funded by the European Commission in the framework of the Leonardo da Vinci programme. The project, promoted by Trondheim City Council,and involving pixel as a partner has the objective to develop a model for the training of youth workers in Europe. The Createl project is funded by the European Commission in the framework of the eLearning programme. The project is promoted by CREA, the Association of Entrepreneurs of Aragona. The project has the objective to support small and medium enterprises in the Knowledge Management, through the creation of an internet portal providing e-learning based training material. The Poesia project is funded by the European Commission in the framework of the Safer Internet programme. The project, promoted by CEA - Commissariat a l'Energie Atomique (FR) and involving Pixel as partner, developed an open source software for the safe use of the Internet in an educational environment. The aim of the project is to be achieved, then young eEuropeans need to be protected from access to content that might be considered to be harmful to them. The Einet project is funded by the European Commission in the framework of the Leonardo da Vinci programme. The project is coordinated by the University of Bodo (NO) and in wich Pixel participates as a partner, has the objective to create an European network for entrepreneurship supporting its development and consolidation. The eLanceNet project is funded by the European Commission in the framework of the Socrates Lingua Programme. The project, promoted by EuroEd (RO) and involving Pixel as partner, has the objetive to promote the knowledge of the less taught languages through the creation of an online database of products and courses for the learning of those languages. The Employing Women Potential project is funded by the European Commission in the framework of the Socrates Grundtvig programme. The project is promoted by stockport College, involving Pixel as a partner and it aims to help women who are over the age of thirty get back in to the labour market. The MDM project is funded by the European Commission in the framework of the Socrates Comenius programme. The project, promoted by GRECO Transferstelle (DE) and involving Pixel as partner, has the objective to promote the awareness of minor events related to world war one and two through the analysis of monuments dedicated to these events. The MultimediArt project is funded by the European Commission in the framework of the Socrates Minerva programme. The project, promoted and co-ordinated by Pixel, has the objective to foster the application of new technologies in the process of creating art, thorugh the development of an online training course addressed to art teachers. The EurEau Action project is funded by the European Commission in the framework of the Socrates ODL programme. The project, promoted by In-For.Ef and involving Pixel as partner, has the objective to create an European network among schools in order to carry out a comparative analysis of water. The European project entitled Guidance Towards New Employments is funded by the European Commission in the framework of the Leonardo da Vinci programme. The project, promoted by CREA Confederation of Entrepreneurs of the Aragona Region (ES) and involving Pixel as partner, has the objective to identify professional profiles that are mostly searched on the European Labour Market. The ODL project is funded by the European Commission in the framework of the Socrates ODL programme. 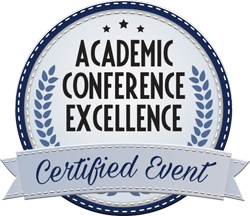 The project, promoted by Stockport College (UK), and involving Pixel as partner, carries out a comparative analysis of the effectiveness of distance learning compared to a traditional learning approach. The Arte project is funded by the European Commission in the framework of the Socrates ODL. The project is cordinated and promoted by Pixel and has the objective to spread the knowledge of European contemporary art through an effective application of distance learning solutions. The CATT project is funded by the European Commission in the framework of the Leonardo da Vinci programme. The project, promoted by Enaip (IT) and involving Pixel as partner, has the objective to train teachers and trainers in the use of computer for language teaching. The The Kid Net project is funded by the European Commission in the framework of the Socrates ODL Programme. The project, promoted by the COeSo consortium (IT) and coordinated by Pixel, has the objective to train teachers working in pre school education institutions in the use of new technologies for teaching English to children aged three to five.